Protect your entire AV setup with one surge protector. 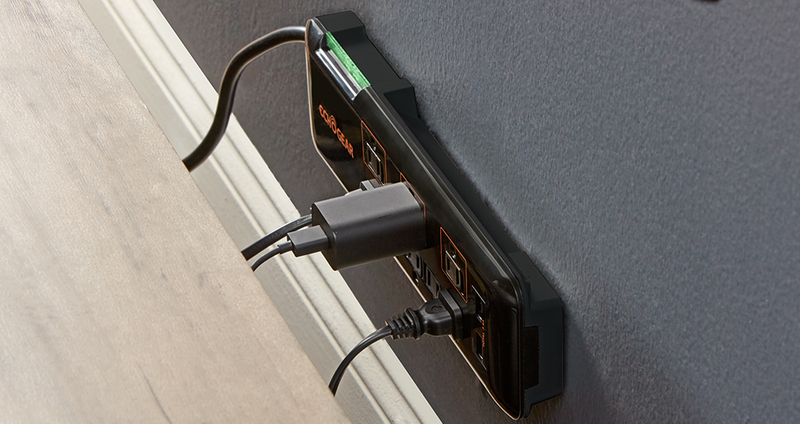 With 12 AC outlets & 2 pairs of coax ports, you'll be able to connect & protect all your gear from power surges. It's the one power strip to protect them all. 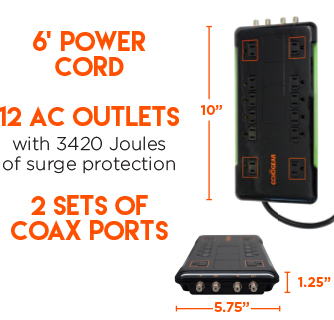 3420 Joules of heavy duty surge suppression protects up to 12 AC outlets & 2 coax ports at once. Sleek low-profile design packs in the features. Corner outlets have extra space for monster sized adapters, and sliding safety covers keep unused outlets locked. We all have dirty power. 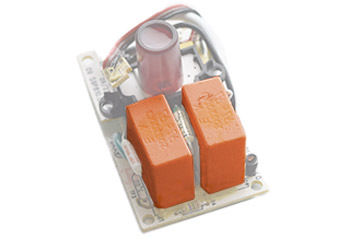 EMI & RFI signals can degrade power quality. By filtering out the harmful signals, this surge protector helps to prolong the lifespan of your gear. Massive power surges can do more than just damage your equipment, they can start fires. Our MOVs (devices that absorbs surge voltage) are encased in ceramic, so they won't catch fire. Protect 12 AC outlets and 2 coax devices at once with this low profile surge protector. 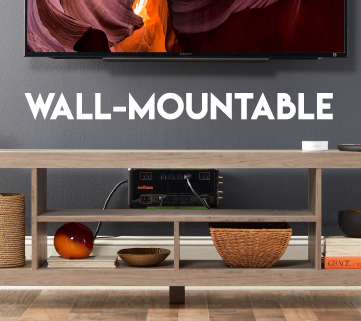 Perfect for your home theater, it'll blend into your suave setup while delivering clean, safe energy to electronics. It's much easier to get immersed in National Treasure 2 when you aren't worried about the safety of your AV components. Spoiler alert: Nick Cage is the national treasure. You wouldn't wear a leather helmet to play football, so don't expose your electronics with halfass surge protection. This power strip has a monster 3420 Joules of surge protection. Need a refresher on what Joules means? It represents the surge suppressor's resistance to power surges, the higher the rating, the better. 3420 is an awesome rating for a low-profile surge protector. 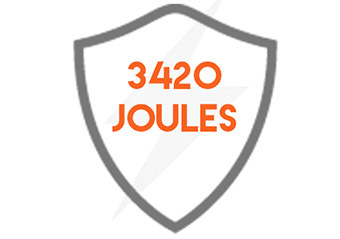 Getting the best surge protection doesn't just stop at Joules. When a power surge happens, all that excess voltage needs to go somewhere. That's where the MOV (Metal Oxide Varistor) comes in. It's like a sponge that keeps the surge from getting to your gear. We took ours to another level by encasing it in ceramic, making fireproof. Even if there's a huge surge your house won't start on fire. What happens if you go with a standard power strip? In the immortal words of Jerry Lee Lewis, "Goodness gracious great balls of fire" could be flying out of your outlet. Not good. Keeping your stuff safe during a surge is important, but we want to improve your life every day. That's why our surge protectors have built-in electromagnetic and radio-frequency noise filtering. And no, we aren't talking about filtering mumble rap off the radio, although that would be an amazing product. 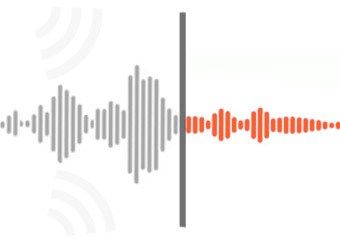 This noise filtering reduces extra signals in the power stream that cause electronics to degrade more quickly. By delivering clean, protected energy to your stuff, it'll last longer. Your welcome. It's hard to disagree with anything that guy says. So we added some sliding safety covers to each outlet. If they aren't in use you can lock them to keep kids from jamming in gum wrappers & forks. That would probably make Albert proud. Have a few huge adapters to plug in? 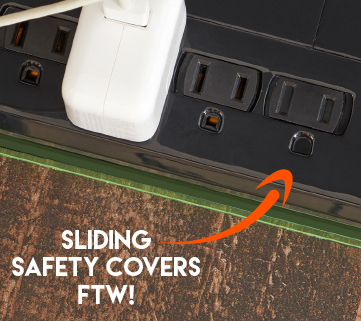 In each corner of the surge protector, there is extra space between one of the outlets, so you won't block any other plugs.You should always be able to get power where you need it. The flexible 6ft power cord reaches outlets easily...as long as they aren't more than 6ft away. Mounting holes make attaching the power strip to your wall or desk a breeze. Just throw a couple of screws in the wall and hang it up. How do you know if it's time to buy another surge protector? If the "Protected" green LED light no longer illuminates, it's time for another Echogear power strip. Click the button below to add the 12 Outlet Low Profile Surge Protector With Coax to your wish list.